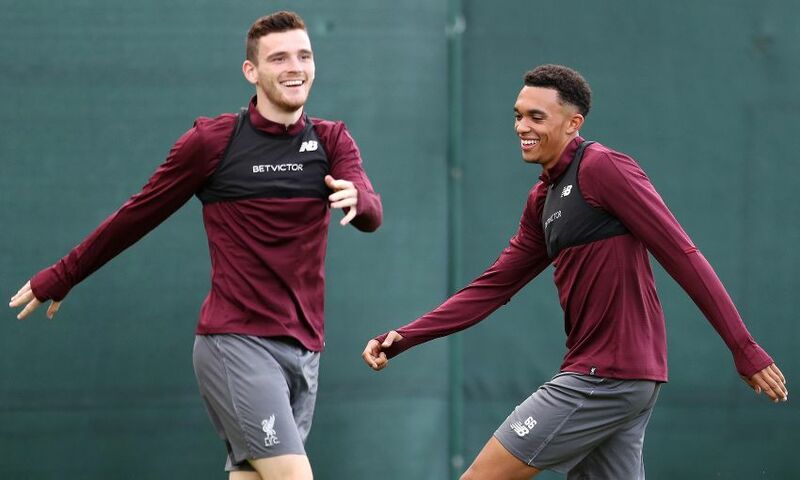 Andy Robertson is leading Trent Alexander-Arnold in a personal assist competition that the Scot believes shows the hunger of both full-backs. The left-back and right-back lined up on either side of the defence in each of Liverpool’s opening seven matches of the season – all of which were won. Robertson has claimed three assists so far this term while Alexander-Arnold opened his account, despite protestations from his teammate, with the corner delivery for Joel Matip’s headed goal against Southampton. The friendly duel should be beneficial to Liverpool collectively, however, with the pair aware of the responsibility to be positive influences at each end of the pitch. “We’re both just hungry to contribute, defensively first and foremost – we want to keep clean sheets. But going forward, we want to chip in with goals and assists,” added Robertson. “Last season, we had a small competition. It started a bit later in the season. This season, we decided to have a competition and see who comes out on top at the end. Robertson’s continuing outstanding form into the new campaign has coincided with another fan song featuring his name becoming a regular during matches. “And Andy Robbo!” goes the final refrain of a ditty built around summer signing Naby Keita. The No.26 takes pride in the latest tribute – but insists the tune does not belong to him. “Naby’s song is quite good once it gets going. The Kop are loving it. To have a part at the end when they shout it is quite nice,” added Robertson.